“Sincerity — if you can fake that, you’ve got it made!" I am no fan of President Trump but I am a movie fanatic. I can quote lines, recite entire dialogues and even rattle off names of obscure directors and screenwriters. Ever since I was a child I have been enamored of movies and their power to connect people, build empathy, change attitudes and be a force for good - a force that can change the world in positive ways. I also used to enjoy watching the Oscars back when it was still a celebration of the art and its greatest auteurs. 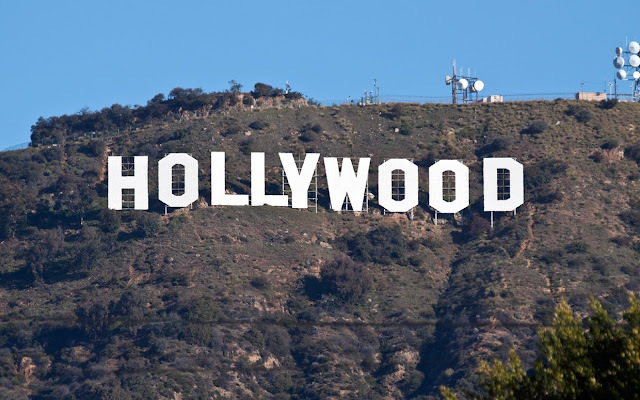 It is true that Hollywood has always been a liberal bastion that championed a variety of issues, from famine and genocide to civil war, but for the most part their causes pertained to humanity and were not blatantly partisan; after the last election the mask came off and every awards ceremony has been hijacked by tone-deaf, selective lecturing and hypocritical finger pointing. It is one thing to use your art as a valid and powerful way to protest something. I am all for making movies and documentaries that champion causes and wade headfirst into divisive political issues; however, it is entirely another thing to abuse the microphone at a non-political event meant to celebrate this art. Putting aside the fact that awards shows are not the right venue to bring up politics, the reality is that Hollywood is also the last group of people in the world who should be preaching morality, diversity and equality based on the facts within their own industry. A study of 900 popular Hollywood films over the last decade by USC Annenberg School forCommunication and Journalism found that despite the industry's preaching diversity to the rest of us, “there has been little year-on-year rise in inclusion in films released in 2016”. Across the board the industry fails on inclusivity when it came to minorities, LGBTQ and disabled people. As recently as 2016, the same study found that 70.8% of speaking roles in top 100 films were still being awarded to white actors. Even behind the scenes their record remained appalling with women making up a measly 4.2% of directors, 13.2% of writers, 20.7% of producers and just 1.7% of composers. Further, another 2016 UCLA study found that film studio heads are 94 percent white and 100 percent male. Management is 92 percent white and 83 percent male. Film studio unit heads are 96 percent white and 61 percent male. TV network and studio heads are 96 percent white and 71 percent male. TV senior management is 93 percent white and 73 percent male. TV unit heads are 86 percent white and 55 percent male. Oprah spoke eloquently and passionately about “speaking your truth” at the last Golden Globes, and while Hollywood seems willing to point fingers, it is entirely unwilling to introspect or make meaningful changes to the predatory atmosphere it has nurtured within its ranks. Hollywood seems to have forgotten the wisdom about glass houses or perhaps they assumed we would not hold them to the same standards they rightly want to hold the President and his administration to, when it comes to women, minorities and the disabled. I laud the release of 'Black Panther' but we cannot ignore the fact that it has taken one hundred and eight years, ninety Academy Awards and the election of Donald Trump to create the first black super hero movie. This year, Jordan Peele became only the fifth black man to be recognized in the Best Director category, and the first to win for Best Screenplay. Greta Gerwig was only the fifth woman to ever be nominated for Best Director. Only one woman has won this category in the Oscars 90-year history. I hope we won’t have to wait another hundred years for black, female and minority studio heads. Interestingly, I am not the only person feeling this way about Hollywood’s now shallow and incessant preaching at award shows since the last election. The 2018 Oscars were the least-watched in history, scoring a 19% drop from 2017. To give you an idea of the magnitude - the Oscars have never fallen below 32 million viewers and 21 metered markets household rating before, making this year’s ratings the lowest since they started keeping records. Even among the coveted youth audience, social media mentions were down a whopping 28% from last year. The Golden Globes witnessed their lowest TV ratings in six years. Even the Grammys, where Hillary Clinton showed up, suffered a precipitous decline to amass its lowest tally since 2008, a 24% drop from the previous year. If we want to hear political speeches, we will attend a political rally. If we want a lecture, we will find a college professor. If we want to a sermon, we will go to church. If we want to be chastised about our lack of morals, we will visit our parents. We come to Hollywood to be entertained and the industry seems to have forgotten its place in society. As long as Hollywood uses their art to make us laugh, cry, inform, broaden and challenge our thinking, we too are willing to overlook the fact that they are mostly well-meaning but grossly overpaid and completely out of touch elites. The air around them is so rarefied that Jennifer Lawrence is lauded for picking up her dog’s poop, and Gwyneth Paltrow argues that moms who have office jobs have an easier life than an actress making $9 million a movie. Movies have the power to connect people, build empathy, change attitudes and become a force for good - a force that can change the world in positive ways. I hope Hollywood remembers to wield this great power by letting their art speak for them. It helps to watch the movies and not follow anything else, that way you don't know anything about the actors just their art. Politics seems to transend all borders, there's no escaping but persistence may one day put a dent in the inequality. Gradually more diversity will welcome openminded thinking and more tolerance and perhaps less of a power insecurity. I agree completely. Being in a different timezone, watching the awards takes an effort that I don't have time to make. Skipping them does help me to focus on the film as an art form and not get caught up in the political, moral and social debates that swirl around at the ceremony.